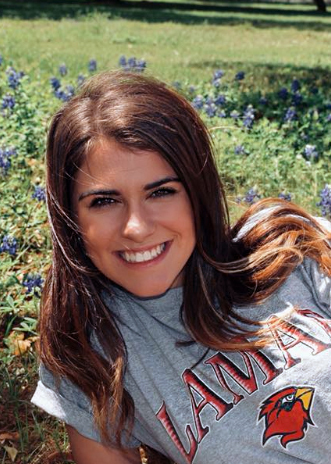 Alix Kinsey Neel, 18, of Sour Lake, went to be with the Lord on Sunday, September 9, 2018. She was born on February 6, 2000, in Beaumont, to Jason Neel and Beverly Neel. Alix spent most of her life as a proud resident of Nome. Her basketball career started at the locally known, Nome Dome, through Twin County Little Dribblers. Alix always put everything she had into her love of the game. She was very competitive, and sometimes would even get a little frustrated on the court. Her teammates joke about Alix sneaking her leg out to trip other players when her frustrations heightened. Alix continued her basketball career at Henderson Middle School and then finally, at Hardin-Jefferson High School, Sour Lake. Alix was an avid member of First Baptist Church of Nome as a child attending Vacation Bible School, Awanas, and youth group activities. She was baptized July 2009 in Nome. Alix's passion and love for Jesus grew abundantly over the past several years. This summer she spent her time as an intern at Encounter Church in Groves. Alix had a fire for God, and it was evident in her smile, and compassion. She recently even preached her first sermon. Her walk in Christ can be summed up in three words that were her favorite, "So Will I." When asked about Alix, you heard the words: funny, beautiful, the best smile, competitive, Christian, loving, a friend to everyone, sugar lover (except for things with red dye), messy, jokester, dancer, singer, and Child of God. Alix loved to dance, a passion and talent she inherited from her father. She had a beautiful voice. One who's vibrato reminded of us of the late Janis Joplin. She provided entertainment to family and friends at one of her favorite places, Sam Rayburn Lake. She loved everyone she met, but most of all her family. Her love for her parents and sisters came before all else. She was the epitome of a daddy's girl. From an outsider looking in you could always see the bond between Alix and her father, Jason. Her lifelong best friends were her sisters, Jacie and Carly. Alix loved her family, they were her greatest treasure. Alix is survived by her father, Jason Neel; mother, Beverly Neel; sisters, Kirstey Neel, Jacie Neel, and Carly Neel; grandparents, Sharon and Joe Broussard; grandfather, Curtis Blanchard; aunts and uncles, Jennifer Hartman and her husband, Chris; Alisa Burger; Hanna Leger and her husband, Brad; Haley Blanchard; and Blake Blanchard and his wife, Beth; cousins, Tyner, Ellea, Colton, Liam, Cole, Ethan, Bailey, and Adalyn Leah; and numerous friends who were like family. She is preceded in death by her grandmother, Rebecca Blanchard (Gammie). A gathering of Alix’s family and friends will begin at 5:00 p.m., Thursday, September 13, 2018, at First Baptist Church, 765 6th Street, Sour Lake. Her funeral service will be 11:00 a.m., Friday, September 14, 2018, at First Baptist Church, Sour Lake, with her interment to follow at Pine Ridge Cemetery, Sour Lake, under the direction of Broussard’s, 1605 North Major Drive, Beaumont. Jacie, Carly and Jason our hearts feel your pain and loss. There are no comforting words that will make you magically feel better. However through the grace of God, His strength, love and mercy, He will get y'all through this. And know that Alix is with her Gammie and cousin Shilah in Heaven. Becky is with our girls and we know that she loves them very much. Peace be with all of you in Jesus' name, Amen. When Jacie, Alix, and Carly visited my husband Max and I in Iowa, the girls were still young. They were along with my sister Becky Blanchard and my Mother. When Max asked Alix what her name was she said, "Olivia." She had a crush on Max. As she grew up, she and I would FB. I would call her Olivia and she would just laugh. it was our running joke. What a lovely niece she was. She will sorely be missed. Gods speed sweetie! Jason there is no words I can express enough. You and your family are in my thoughts and prayers. I pray God holds you tight and gives you the strength you need to face a new day. My deepest sympathy for you all. She was a sweet girl She was a delight to visit at family get togethers. So sorry for the family loss. Jason Sharon Joe Carley Jaycee our heart hurts with yours. I know God is all powerful and He will see you through this tragic Valley. We pray that your mountain top is peaceful and loving. The closeness and live you all have S a family will always have Alix in your hearts. Her passion and love for God hs her celebrating life with our Lord and SVior andbyou will dance with her again. We live y’all , please don’t hesitate to reach out to us. Alix was really fun to be around. shes part of why I loved basketball so much. last year I always looked forward to going to math class with her because we would sit and talk about coach fogo and their plans for the year.. I loved listening to her talk about basketball because every time the game was mentioned, there was this twinkle in her eye and she would have the biggest smile. we werent close, but she was still my friend, and my heart aches for her family in these hard times. she will always be with us. Sharon, Joe and family, our hearts are breaking over your loss. What a beautiful girl. The Lord be with you. Rest in peace beautiful girl. Your memory will live on in the hearts of all who loved you. May your family and friends find peace in knowing how much you were loved. Alix's life was well lived, although much too short in our eyes. She did what God desires of all of us, to share His love with those around us. She is now safe at home with her (our) Savior and in that we can find peace. May the void of her loss be filled with cherished memories. Much love to all of Alix's family and friends. It’s rare to meet someone with the passion that Alix had! What ever she did, she was all in! All the way! There is no way to mentally process what has happened, but i know that God has a special plan and place for her! My thoughts and prayers are with you. Please know that we are all here for both. You are all in our prayers. I am so very sorry. Jason I cant even start to imagine what your going through. Just know that your in my thoughts and definitely in my prayers. May Gods peace comfort you and your family during this trying time. When you feel that you have hit bottom and have know place else to turn just look up he is always there waiting to be there for you. Jason, I was very sorry to hear of your loss. I cannot imagine what you are experiencing. I was very pleased to hear of Alix’ personal relationship with her Creator. What comfort to know that she is on his presence and there will be an opportunity for those who know Jesus to be with her again for eternity. Prayers for your family. Jason, girls, Sharron and Joe, family and friends, our heart and prayers that God will put his loving and caring arms around you to help you through the sad time. Keep your faith strong???? Wish I could get in my car right now and drive back home from Virginia to be there. I love you so much and wish I got to see you one more time before I had left for school but I know I will see you again worshipping and dancing in God's presence. "Oh baby" I will miss you till then. Alix was a beautiful young lady whom I have watched grow up .She has a smile and a heart that you could never forget.My heart goes out to this family that I have grown to love as part of my family.Jason my heart and prayers are with ya and I will see ya when I get back home.Love ya very much! Sending all the family and friends my deepest heartfelt condolences. I pray God continues to give you comfort in every way. Continued prayers for each of you. Alix was such a sweet beautiful child and a lovely, kind young woman. We are so sorry, truly heart broken for you all. May the peace of the Lord be with you. Such a beautiful young woman we've grown to know & love. Our hearts ache for you Jason and your family.